When we told people that we were going to South Korea for one leg of our RTW trip, almost everyone who was familiar with SK told us that we had to visit Jeju Island. They waxed poetic about the natural beauty of “honeymoon island” so we decided to check it out. 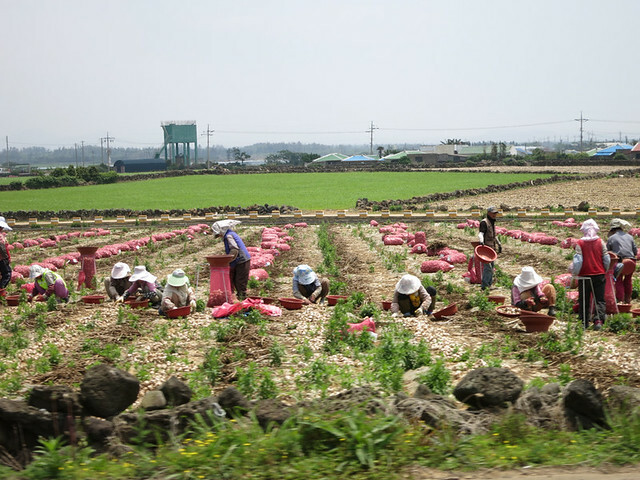 Jeju is a small tropical island off the tip of South Korea and with airfares under $100 USD and a flight time of about 1 hour from Seoul, it’s great for a long weekend or a short side-trip. 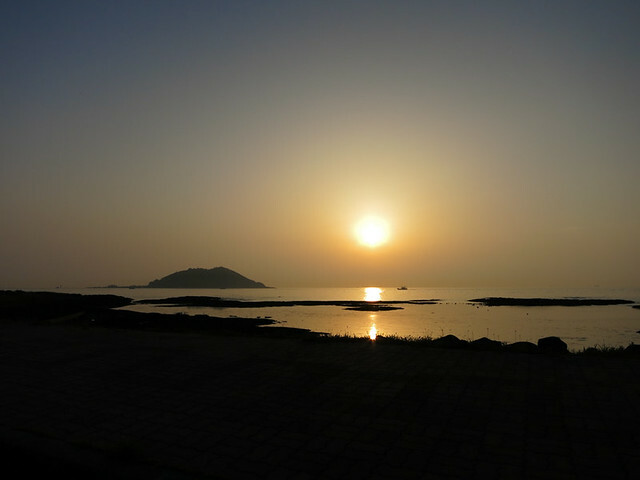 We spent 3 nights on Jeju Island and I’m proud to say that we ate most of the dishes that the island is known for. I’ll get into that later. 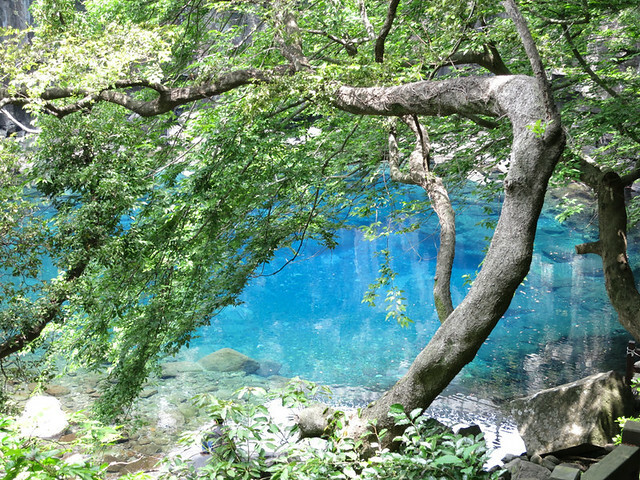 Blue lagoon at Cheonjeyeon Waterfall. I think it’s dye because that blue is just not natural. Harvesting garlic. Koreans looooove their garlic.